Also, I contacted the senators from my state regarding the subject, and I was happily surprise to receive a phone call saying that they shared the concern, and that it was on their radar. 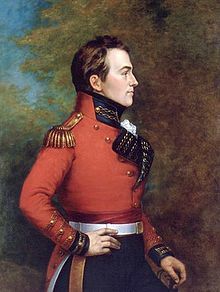 « Isaac Brock Society reaches a milestone – This is the 1,000th post! *Just Me, interesting letter, thanks for sharing. It sounds like it was written by one who never applied for a passport to venture beyond US borders. It was a boring read, but I’m glad that someone had the time to write it. Utterly surreal. The European Bankers Federation writes a letter complaining that “Certain Rules Remain Unnecessarily Burdensome and Potentially Unworkable in Significant Respects” and “The Limited Transitional Relief for Entities that Cannot Fully Comply with FATCA Due to Foreign Legal Constraints is Inadequate”, and Treasury says they are being “widely praised”? I’m not sure which of the possibilities is scarier: that Mark Mazur believes the praise he’s writing about himself, or that he thinks he can get away with telling blatant lies to Congress about matters of public record by quoting people out of context. The Representative who was the author of the letter, stated that his concern in a way that specifically cited the burden on US individuals, but the response from Treasury very carefully and deliberately avoids answering to that specific concern, and goes on to obfuscate about reducing the burden on institutions – with no acknowledgement of the Representative’s actual issue – and an obvious avoidance of the issue of the egregious maltreatment of those deemed US citizens living outside the US. consulting Congress because of pressure from Treasury officials. Because of their unilateral action, the ultimate losers will be the American taxpayers in the long run because they will have less revenue. Another member of the Commission, Byron Georgiou, agreed with Thomas and explained that the tax change was a “different form of government assistance, perhaps a delayed form of government assistance”. At what point will anyone rein them in – if ever? Jack Townsend http://federaltaxcrimes.blogspot.ca/2012/09/irs-data-mining-program-re-offshore.html has a recent column that mentions another ‘golden rule’ – and I paraphrase – that “those with the gold make the rules” and he links to this explanation http://wiki.answers.com/Q/What_does_%27He_who_has_the_gold_makes_the_rules%27_mean.